The Levo Machine, in combination with the Magical Butter machine, along with a mason jar for decarboxylation, are all you need to make effective medicine. After a great deal of experimentation, I've found this method to be spot on, easy and fun. It's okay to have fun, people, FYI. I first want to warn people that Vegetable Glycerine is dangerous. It reverses any benefits of CBD in your intestines and can lead to diverticulosis, obstructed bowel and inflamation. If you are trying to replace opioid use with cannabis, glycerine can make you constipated and even cause perferations in your GI tract. 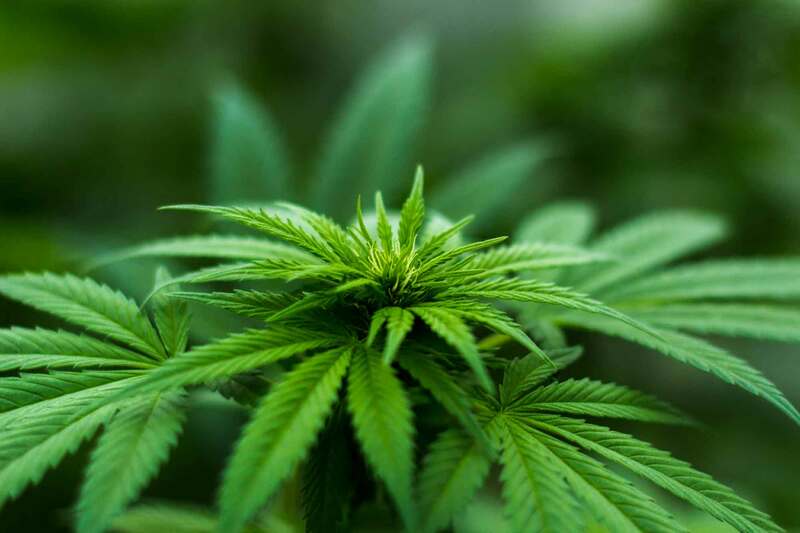 This is because those who are using CBD and THC to come off, or avoid conventional, and addictive pain medications, tend to take a lot of tinctures and oral solutions. Their tolerance is high. This makes products at dispensaries cost prohibitive, thus hindering the ability for addicts to replace pain meds with a healthier, cannabis derived form of relief. Alcohol based tinctures have obvious problems for those with addiction problems. So, this method offers a more cost effective and healthier alternative for those suffering from pain, cancer, or whatever your ailment, including boredom. Stick with me people. The key is pure, coconut MCT oil as your primary infusion carrier. Stick with pure, coconut derived, organic, liquid MCT oil and liquid, organic sunflower lecithin. Decarboxylate your unground herbs using a mason jar. I suggest creating your starter with 2 oz. of something that suits your needs. 240 for 1 hour in a tightly sealed mason jar. After one hour, do a two part cool down. First on the counter, then after it's reached room temperature, place it in the freezer. If you want to splurge and get all scientific, get a Nova decarboxylator. This will be even more precise. But, I have to say, if you have a reliable oven and a back up thermometer from a cooking store, a mason jar works fine. Just sayin. Fill your Magical Butter Machine with MCT oil, to the maximum fill line. Add one TBS of sunflower, liquid lecithin. (DO NOT USE SOY DERIVED LECITHIN). Add your now frozen, but decarboxylated full flower. Set your Magical Butter machine at 170 degrees for 8 hours. Make sure that you don't leave the house while it's running. Read a book. Work in the garden. Shag your mate. Enjoy your life. After the 8 hour cycle, strain your MCT oil. I suggest buying the series of bags available through the Magical Butter site. Get all the floaters out. Now you have your base. Take another 1 oz. of the flower of your choice, for the needed effect. Repeat the mason jar decarboxylation method. If you want to get all fancy, go ahead and buy a Nova decarboxylator. Google it. It rocks. After you've decarboxylated your herb, go through the two part cool down method, as previously described. Buy the large infusion basket from Levo. It's worth it. Place your whole flower, decarboxylated, into the large Levo infusion pod. Place the pod in the magnetic position. Place in the magnetic stirring plug. Levo has a replacement stirrer plug with a stronger magnet. If your Levo is making a noise when infusing, call them and get the new stirrer. The machine is not broken. Fill the basin with your base MCT oil, that you made in your Magical Butter Machine. This should always be your starter. Think of it as you would yeast, at a bakery. Work on this starter, increase it, add trim and shake infusions to it. Keep a giant mason jar of it in the fridge. Then, when you want to make a full infusion with your Levo, you can do small batches and experiment with different buds and flavors. I suggest filling the basin of your Levo with your base MCT oil. You don't have to add any more Lecithin. Fill the large infusion basket with the herb of your choice. Set your Levo at 170 to 180, for nine hours. Seriously. Go to bed, check it in the morning. It's silent (once you get the new and improved magnetic stirrer). In the morning, wake up to a completed cycle. Get a sterile mason jar. (Sterilize your mason jars, people! This is medicine and this process is very much like canning. Be clean). Place the sterile mason jar under the nozzel of your Levo, press the button and out will come the best infused MCT oil you will ever have. Depending on your dosage, one 300 ml jar can last you a year, give or take, depending on your tolerance and the strains you choose. I love this Magical Butter/ Levo combination method. Once growing your own becomes legal in every state, there is never a need to purchase from the black market again. You don't have to worry that your herb has blood on it, from somewhere in the supply chain. And you can approach making your infusions the way a home brewer makes craft beer. This is the future, my friends. I offer this because I have found a method that works. It's fun and after the initial investment, it's an economical way to treat your ailments, whatever they may be. I hope this method gives relief to the suffering. And have fun making it. Control your own ingredients. Limit your risk and exposure. And never ever inhale your medicine. Finally, I hope this recipe and method helps people move away from combustion. An infused, sublingual oil or tincture gives you 100% of the benefits of your recommended herb, without ANY of the harmful effects associated with smoking and now vaping. I'm not convinced that vaping is a safer alternative to combustion. Dry herb vaporizers have shown an effect on lowering lung capacity and introducing pathogens to your respiratory tract. Popcorn lung, from glycerine and other liquid vape delivery systems is a real thing. This is especially true if you don't know where your herb is coming from, what pesticides were used to treat it, whether there is mold on it or in it, or if it was dyed or treated to seem more appealing. That's a thing, now, too, especially on the black market when someone is stuck with crappy product. It's called dressing and you are inhaling whatever Stoner Joe decided to use on your product. So, get your herb from a licensed source, if you can. Make sure it's organic and mold free. Start with a strain you like, for the effect you require, and build your base. From your base, infuse small batches using the Levo, to vary effects and experiment with flavors, etc..
Save money. Be healthy. Get help if you can't manage your consumption. Like everyone who uses cannabis for a wide variety of ailments, an enjoyment, you are not alone. Why not just put the third ounce in with the first two and skip buying the Levo? For that $200, you can get an extra half ounce or more, lol - throw that into the Magical Buter Machine, too . The Levo allows one to tweak your infusions in small batches, when something new or interesting comes along, or for different purposes. Sleep. Attention. Pain. Anxiety. From your base you can make various strains of infusions. Decarbed first without any oil, then add your favorite "medium" oil or whatever.